An academic from London South Bank University (LSBU)’s School of Engineering will take part in a new research consortium setting out on leading-edge work to investigate ways pollutants are transported around and inside the buildings we live in and the air we breathe. With London already having broken annual European air-quality rules in the first month of 2016, it is clear that urgent action is needed to avert a major health crisis caused by air pollution. Now a new research consortium will be investigating the flow of pollutants in our air, to assist city planners and building designers to improve air quality and work towards a more sustainable city environment. The project – whose partners include Imperial College London, the University of Cambridge and the University of Surrey – has received a grant worth £4.1 million pounds from the Engineering and Physical Science Research Council (EPSRC). Dr Aristodemou, Senior Lecturer in LSBU’s School of Engineering, will be a visiting Co-Investigator for the project, providing expertise and experience in 3D modelling of air flows and dispersion of air pollution within the urban environment. “The overall aim is to produce a decision-support system that will develop urban design in terms of both overall health - personal exposure to pollutants - and any associated costs, which will lead to a healthier and more sustainable urban environment,” continues Dr Aristodemou. The project will take in the contribution to poor air quality of ‘unseen’ urban power plants and generators, often hidden on building roofs. It will also consider the extent to which tall buildings exacerbate pollution problems by trapping pollutants in airflow pockets, thus preventing pollution dispersal. The research also has application in the field of counter-terrorism, as it will help to inform emergency responses to incidents involving airborne chemical agents. 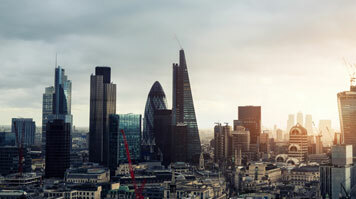 Researchers will now be gathering a range of data from outdoor and indoor sensors that will measure air quality in select areas of London, such as the Marylebone quarter and the area immediately surrounding the Walkie-Talkie skyscraper at 20 Fenchurch Street, where complex computational simulation work has already been carried out. From this, 3D animations enable researchers to assess how modifications to existing urban and building design can improve air quality and our environment.